I bought the pattern - 'Bricks and Stones' in her parlance, 'the white librarian' in mine, and after resizing and redrafting, I knew it was time to do something unusual. For the most part, I've been a responsible purchaser of fabric. 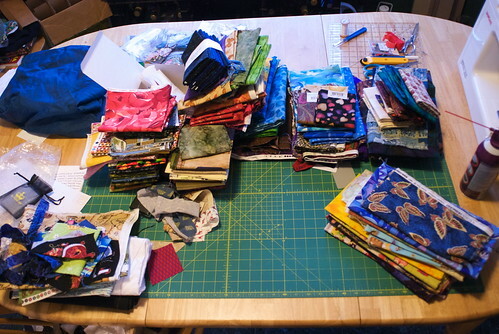 I buy what I need, I use it for its intended purpose, and anything left gets Available For Scrap Quilt Goodness status. Notice I said "for the most part." There have been exceptions, though. Some fabrics were repeatedly considered for quilts, but every time, I shook my head and put them aside. Some had prints that were too large, but some were so special that I just couldn't bear to cut into them. "Next time," I'd say. 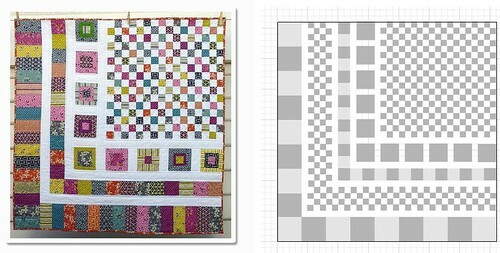 There would be a mythical Perfect Quilt, I told myself, and when I had it, I'd know it was time to cut into some of those fabrics I kept setting aside. 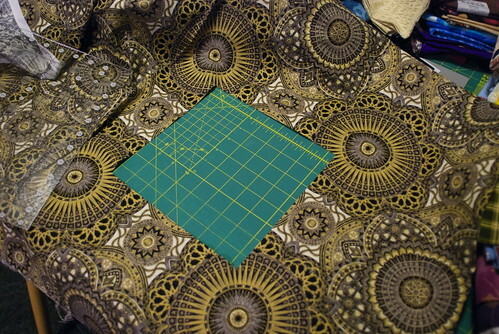 In quilting, you don't often get to cut 8.5" squares of single fabrics. You can feature bits and snippets, flashes of color and shape, but rarely do you get to showcase large-scale prints. In this quilt, I'm going to use them all. That's my promise to myself for this quilt: if I pull out a fabric and it gives me a pang at the thought of it being gone forever from my stash, I will cut from it, and cut generously. 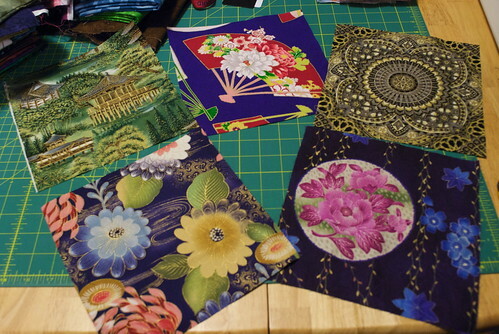 I am more likely to put beautiful fabrics in my gift quilts if I get to keep a small amount for myself. Take what is precious and leave the rest.